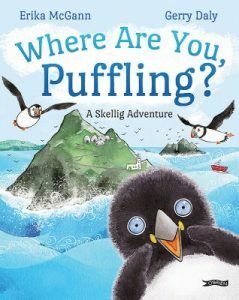 “Where Are You Puffling” is a picture book by Erika McGann and Gerry Daly. 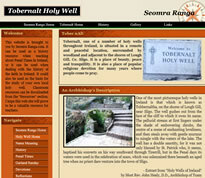 This exciting adventure is set on the Skellig Islands off the coast of Co. Kerry, Ireland. These islands are home to thousands of birds, sea and wildlife. 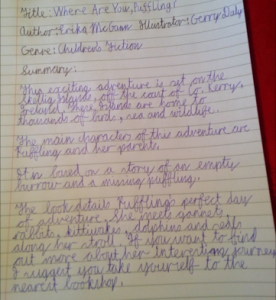 The main characters of this adventure are Puffling and her parents. It is based on a story of an empty burrow and a missing puffling. The book details Puffling’s perfect day of adventure. She meets gannets, rabbits, kittiwakes, dolphins and seals along her stroll. If you want to find out more about her interesting journey, I suggest you take yourself to the nearest bookshop. From the moment I set eyes upon this beautiful book, its bright, beautiful, colourful and exciting cover enticed me to quickly jump into and explore its tale. My favourite part was following Puffling’s brave yet fun trek around Skellig. Although this book may be aimed at younger readers, I am ten years old and I loved it. I would recommend this book to anyone who is young at heart, has a love of wildlife and enjoys stories that include good morals. “Every day is a good day to have an adventure”. 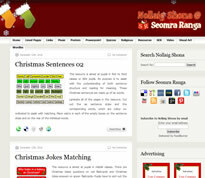 By Alex (10), 4th Class, Killaloe BNS, Co. Clare.